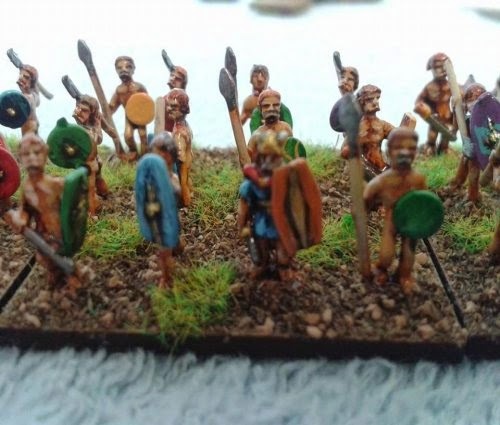 My 10mm Caesars Gallic War Project will be based around Caesar's Gallic Wars waged by the Roman proconsul Julius Caesar against several Gallic tribes. 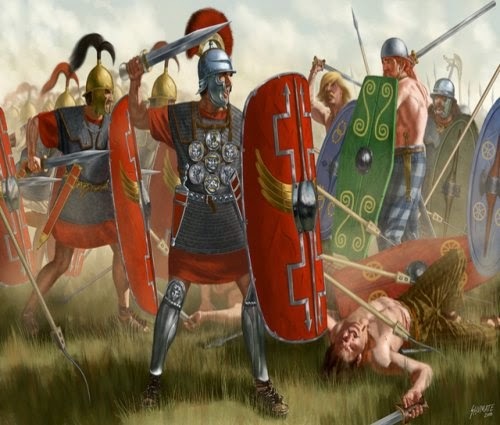 Rome's war against the Gallic tribes lasted from 58 BC to 50 BC and culminated in the decisive Battle of Alesia in 52 BC, in which a complete Roman victory resulted in the expansion of the Roman Republic over the whole of Gaul mainly present day France and Belgium. 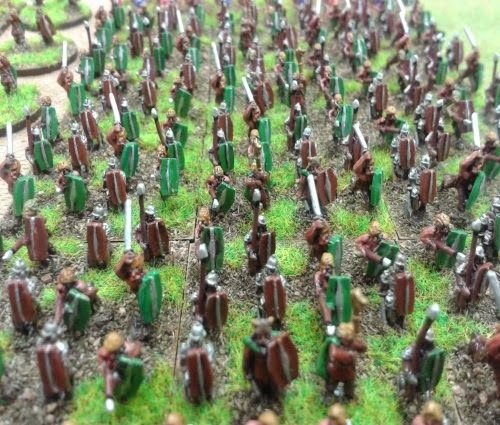 The wars paved the way for Julius Caesar to become the sole ruler of the Roman Republic. 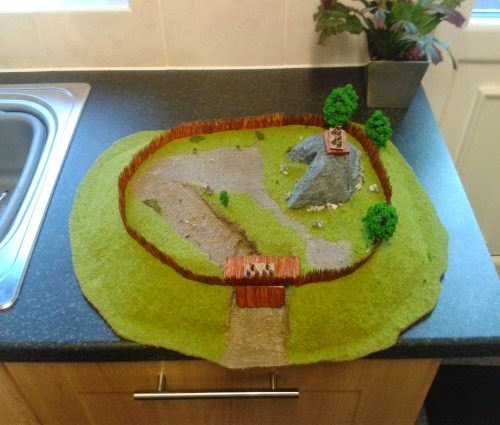 This project actually came into being because of my persistent nagging at my daughter's boyfriend. 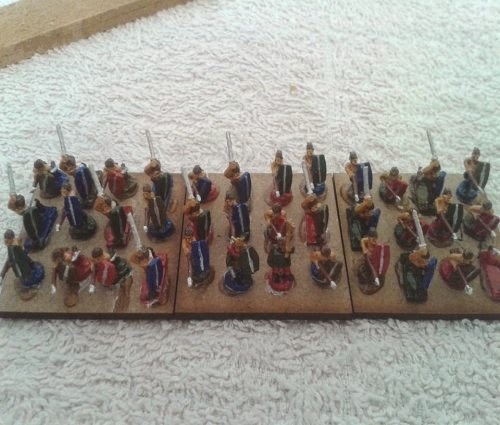 Constantly trying to get him into wargaming well I certainly succeeded he decided on buying some Republican Romans from Pendraken now. 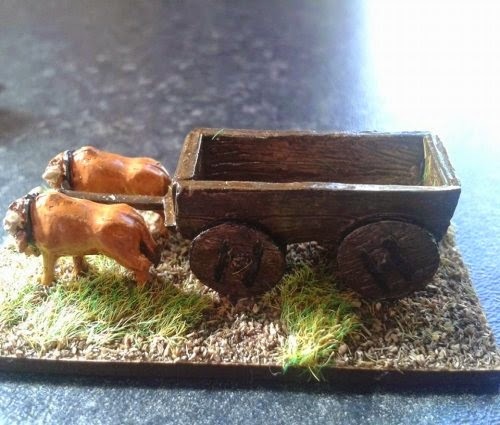 Now as I've got plenty of other projects on the go I just didn't have any time to devote to this luckily a 10mm Pendraken Gallic army came up for auction on eBay and I was lucky enough to be able to buy this. 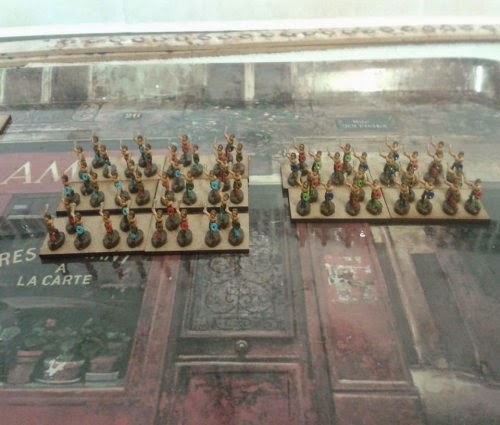 Painting Gallic & Celtic Warbands. 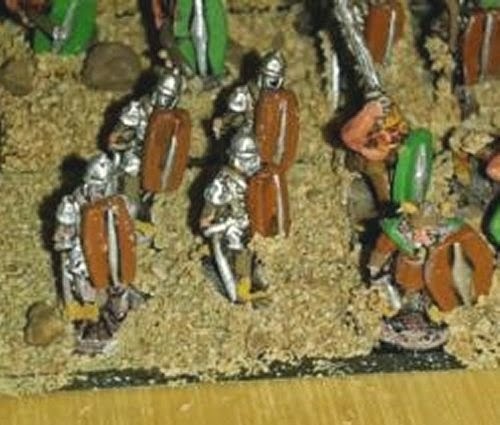 Gallic War Battle Reports & Scenarios. 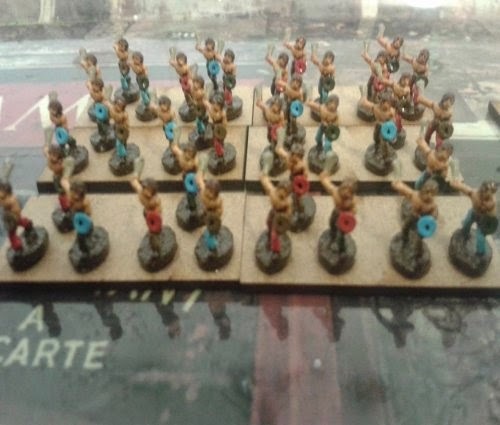 My Caesars Gallic War Book Library. 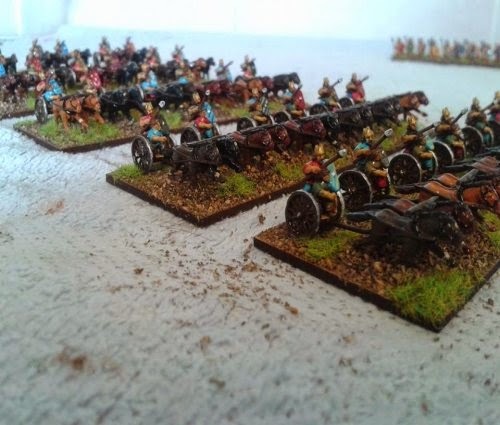 The core of the army has been built using Pendraken Miniature's and Magister Militum Miniatures other manufacturers which I intend using are Eureka Miniatures, Kallistra Miniatures, Newline Design, Steve Barber Models, The Baggagetrain, Lancer Miniatures. 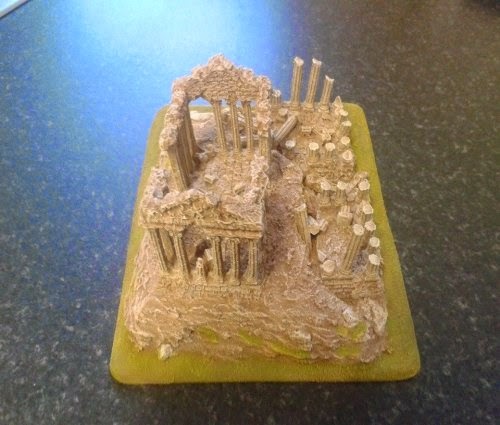 I'm very lucky to have such a good friend in Malcolm Taylor who has just made me a temple for my ancients. 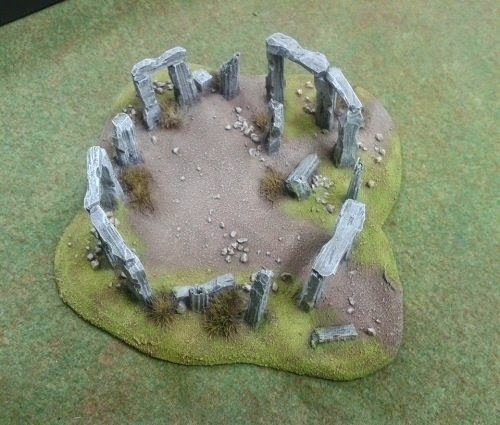 Stonehenge this was made by my very good friend Malcolm Taylor for my Celts and I think you will all agree it's just brilliant. 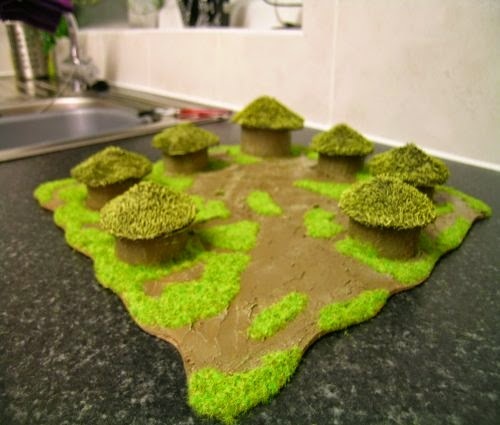 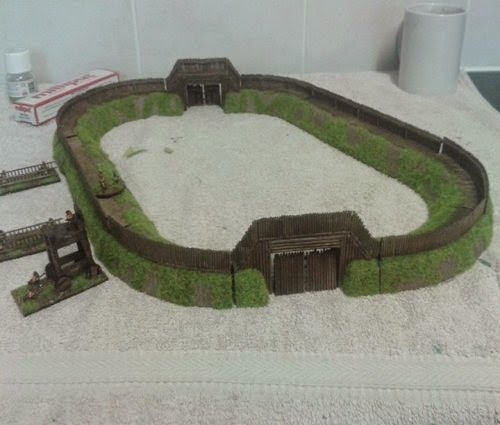 The last thing for my Gauls was a hillfort which is now completed. 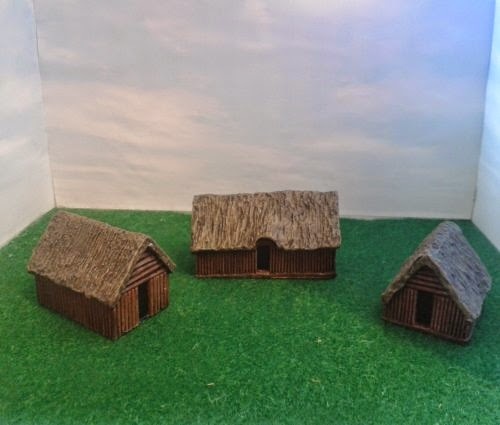 Some buildings, the first two are from Battleground Scenery Buildings, the second lot of is from Kallistra Buildings and thirdly some building from The BaggageTrain Buildings. 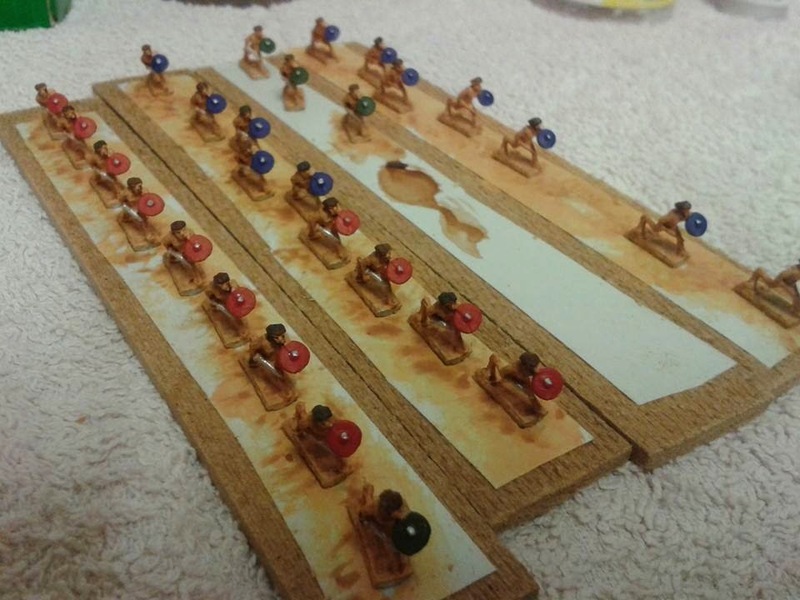 Some roman slaves to serve the celtic nobility. 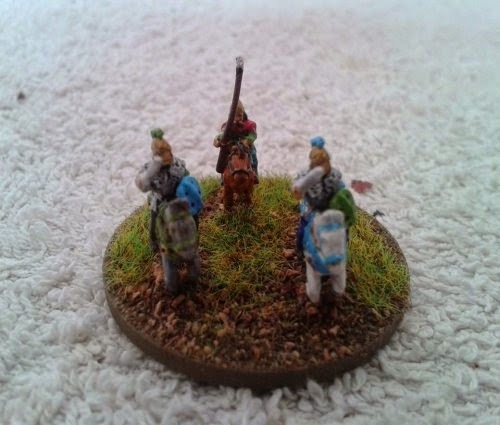 let that be a warning for any other unprovoked attacks. 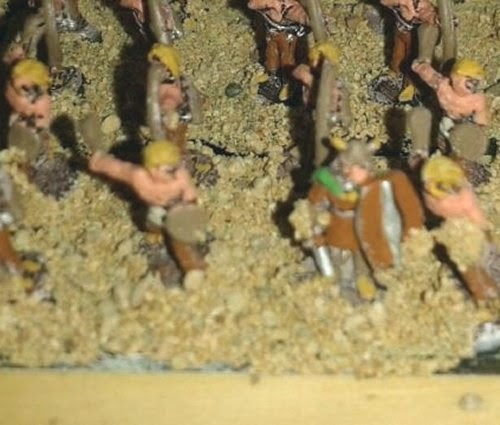 5 Gallic/Celtic commands this except one last warband and a couple of tiny bits completes my Gauls. 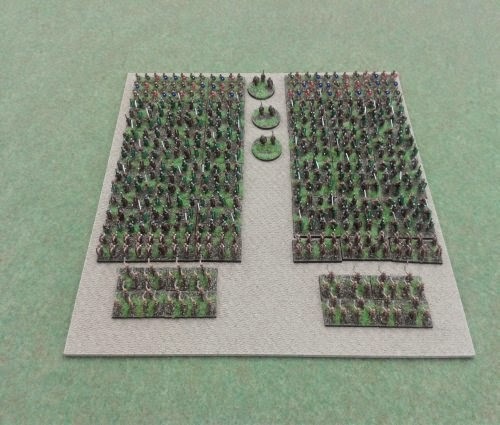 8 Gallic/Celtic commands this except one last warband and a couple of tiny bits completes my Gauls. 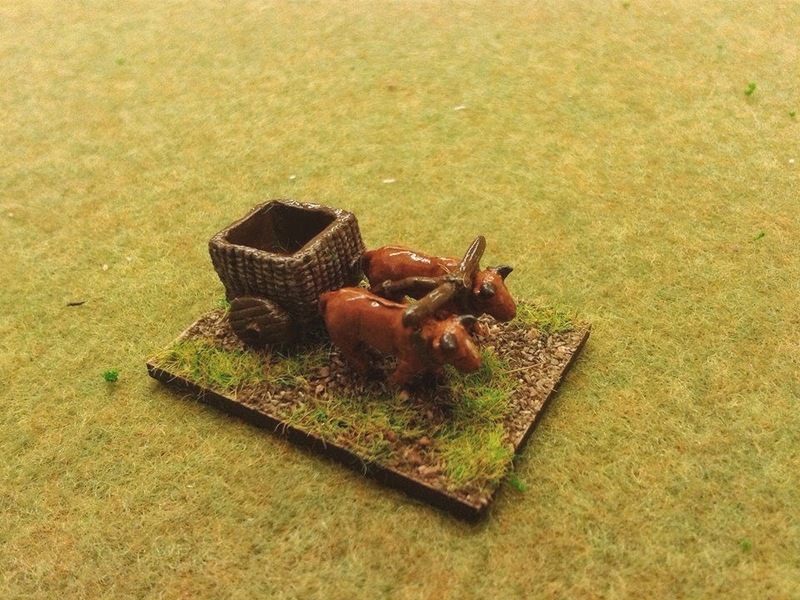 One of several not so secret weapons for the Gallic/Celtic horde. 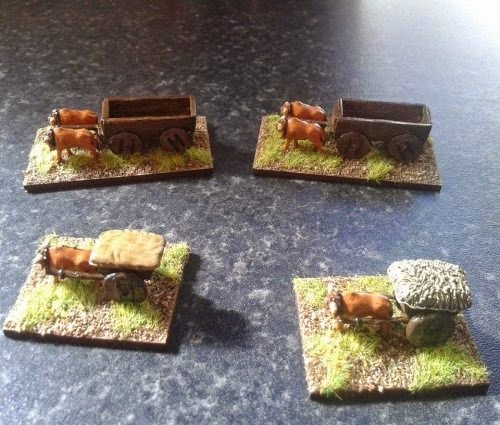 My last lot of baggage for my Gallic/Celtic nearly finished painting units just odd bits left. 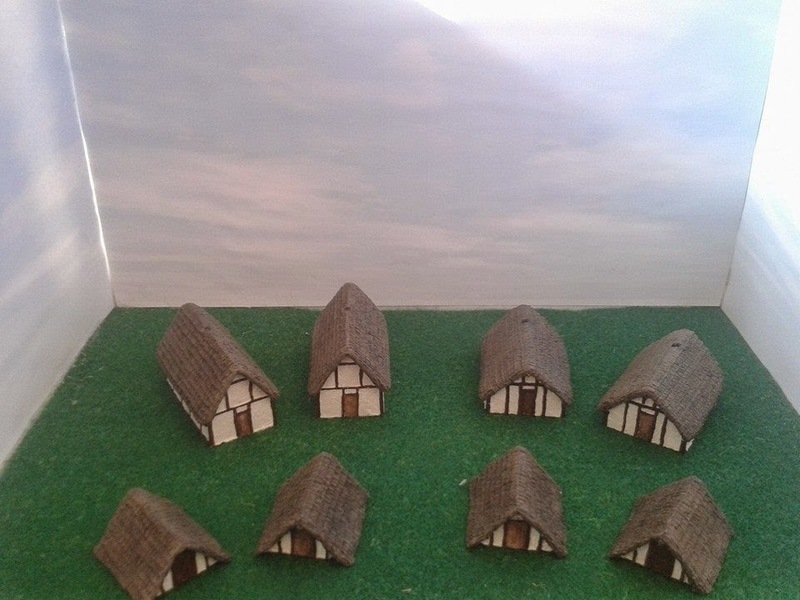 Then start painting buildings. 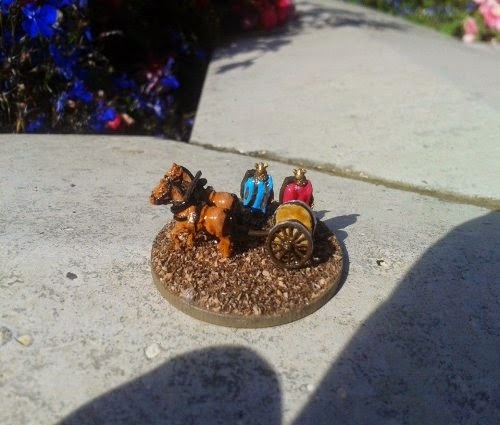 Here's a British chariot command we have finished hope you enjoy it. 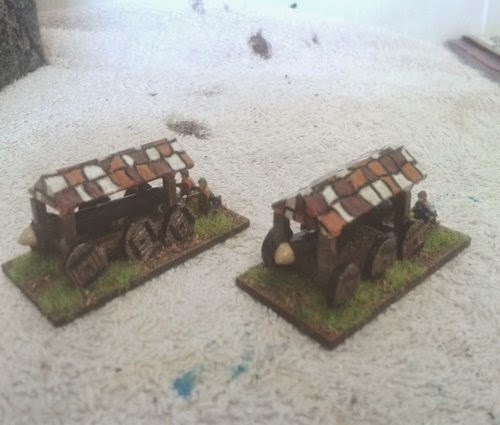 Putting the transfers on was a real pain. 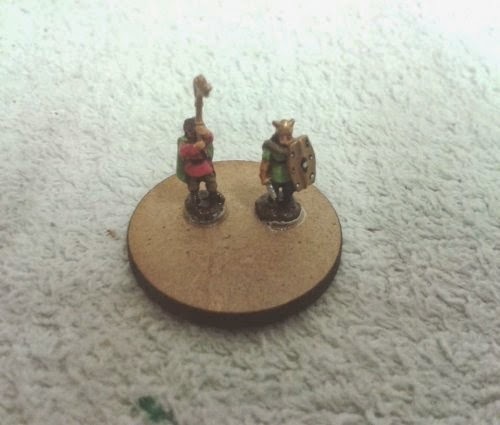 Some more skirmishers completed for my Gallic/Celtic army. 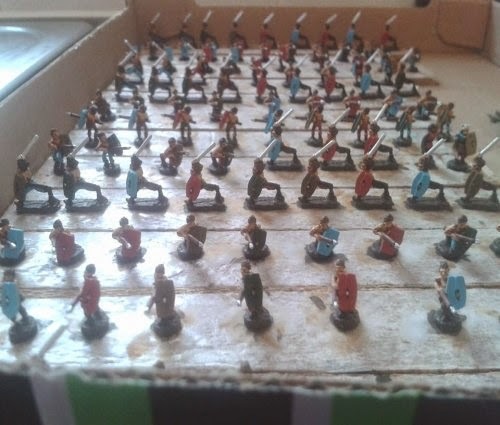 I've not got much more to finish the army now. 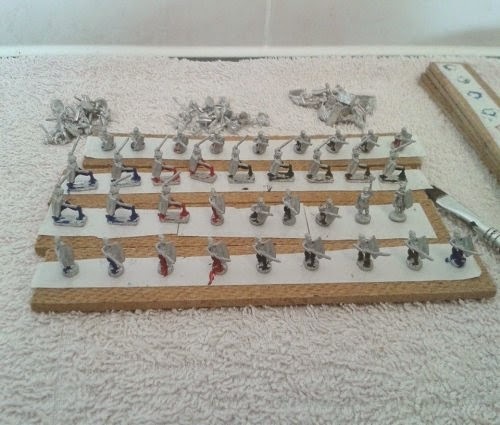 one more lot of skirmishers, one lot of light cavalry, some command bases and few odds and ends. 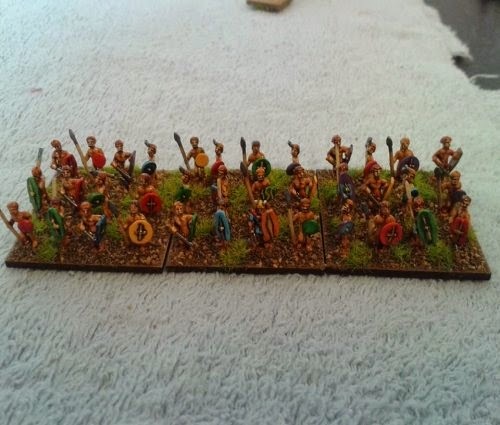 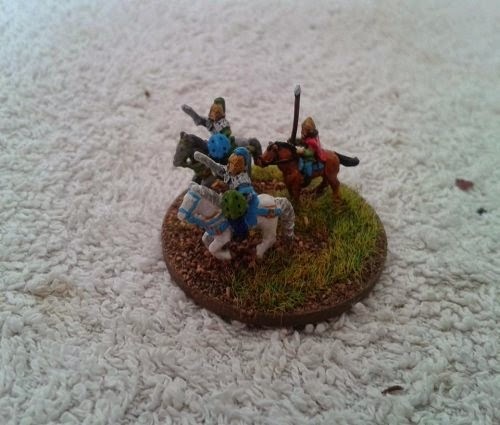 Here's a Gallic/Celtic warband painted by a very good friend Malcolm Taylor. 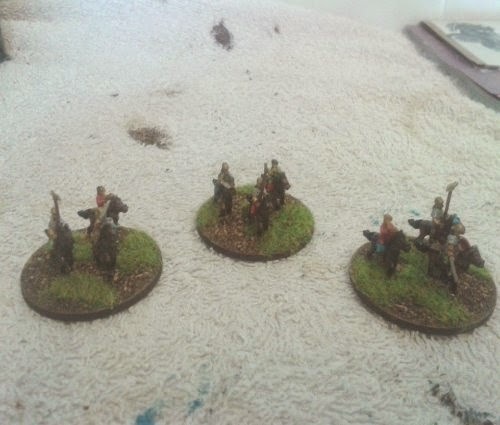 Also two other fantastic mates have also painted warbands for me, Andy Hamilton and Steve Graham. 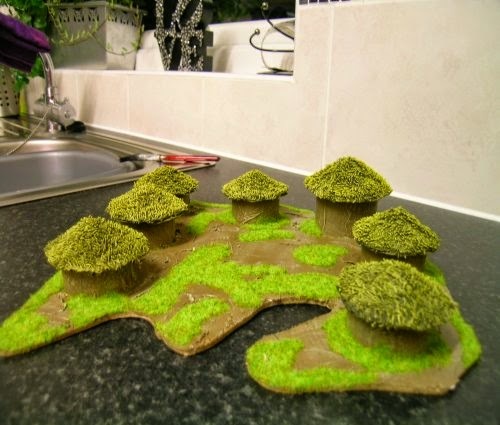 I would just like to say thank you very much. 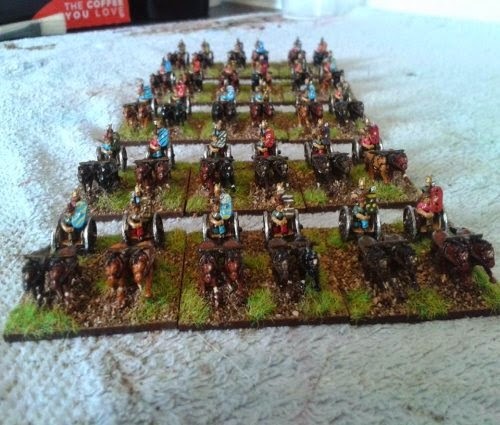 My British chariots are now completed. 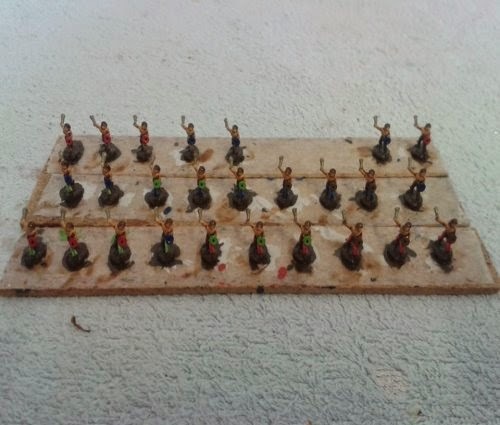 A unit of Gallic/Celtic slingers completed for my Celtic army which is growing very nicely now. 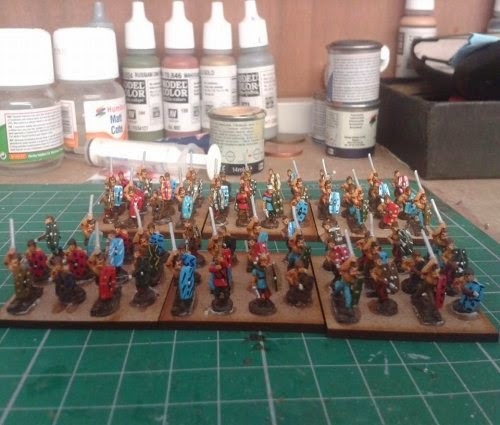 3 units of Gallic/Celtic wardogs completed they just need feeding on some nice and tasty Romans. 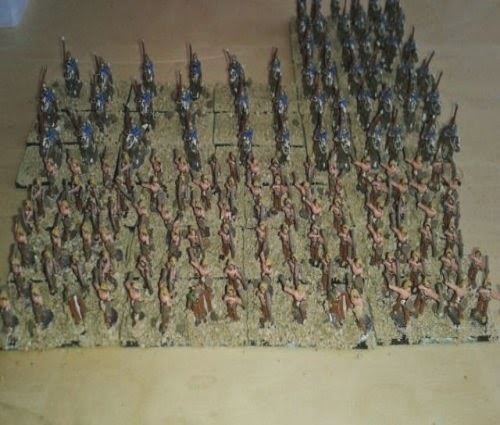 Another Gallic/Celtic division completed that now makes 28 warbands to stop the invading Romans plus a few units of dogs which should be ready by the 21st. 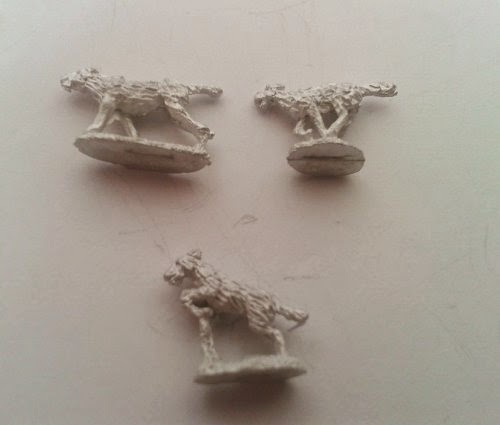 My order has arrived today from Eureka Miniatures I'm extremely impressed with them they will make fantastic wardogs for my Gallic/Celtic hordes. 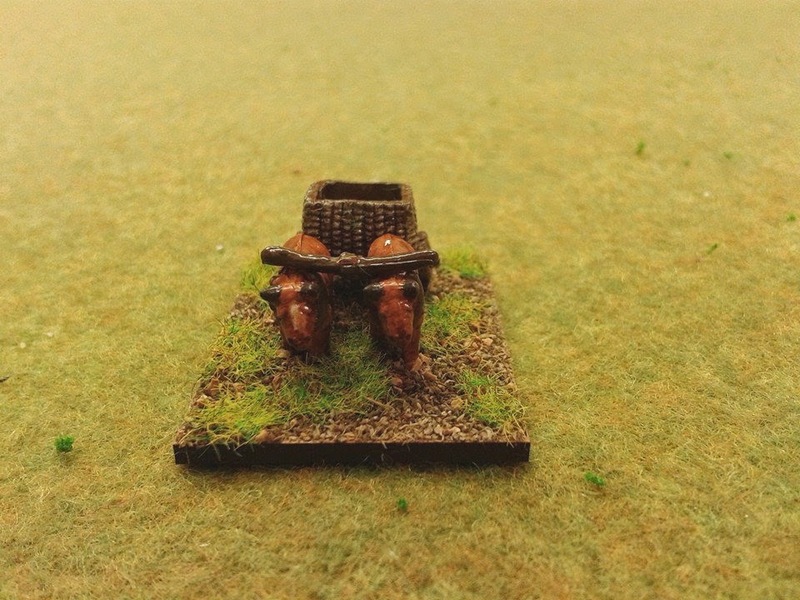 Romans beware of the dogs enter at your own risk, actually do enter they need feeding. 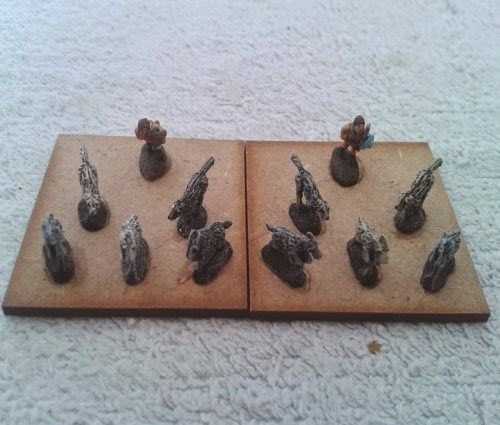 Re-based and touched up my Gallic/Celtic army which I bought of eBay I'm rather pleased how they came up. 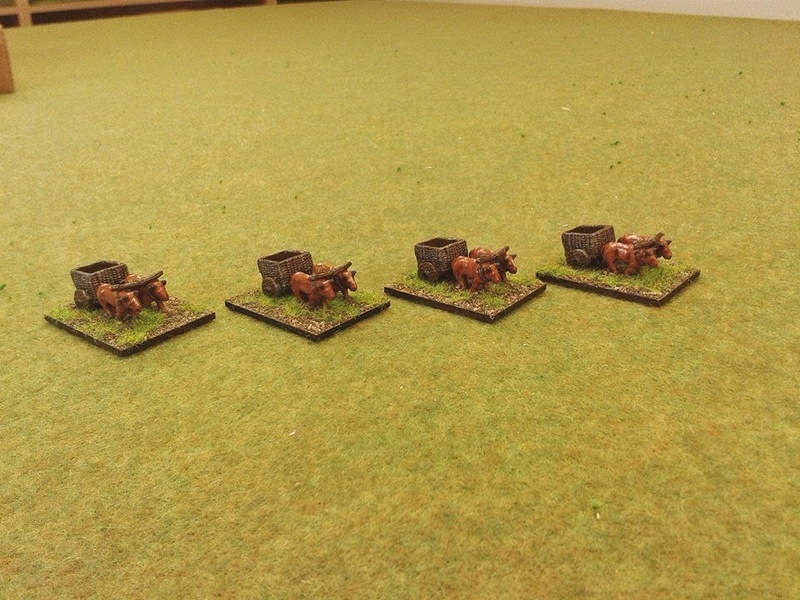 Anyway I've ended up with 3 divisions 2 infantry and one cavalry. 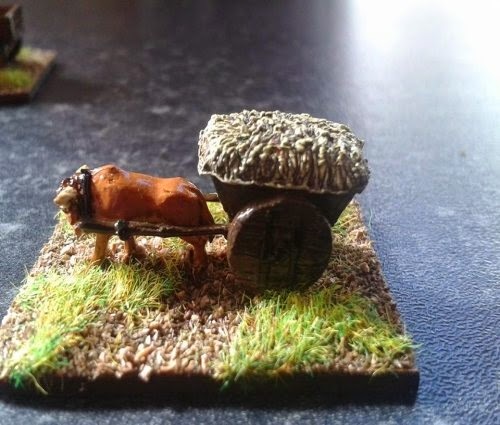 Some finished baggage for my Gallic/Celtic. 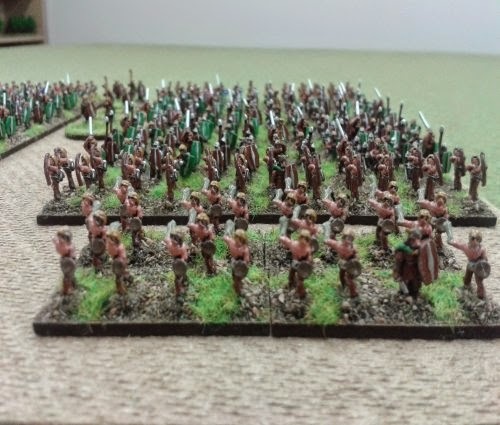 Another Gallic/Celtic division completed just skirmishers and command to add. 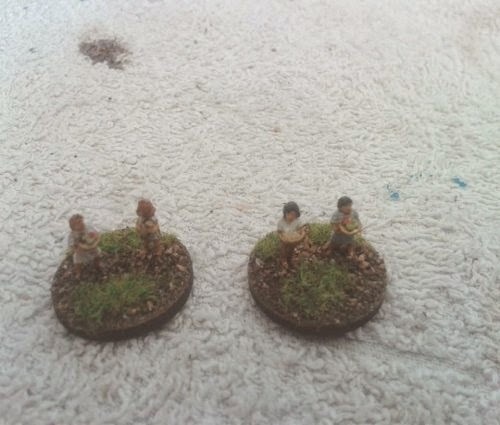 Another couple of Gallic/Celtic Warbands completed and another on the stocks. 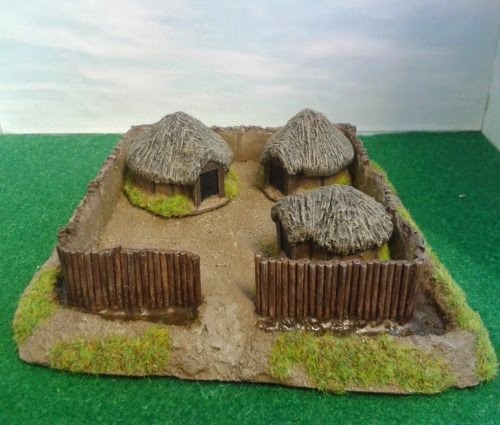 I made a Hill Fort for my Caesars Gallic War Project you can view the tutorial Making Gallic/Celtic Hill Fort. 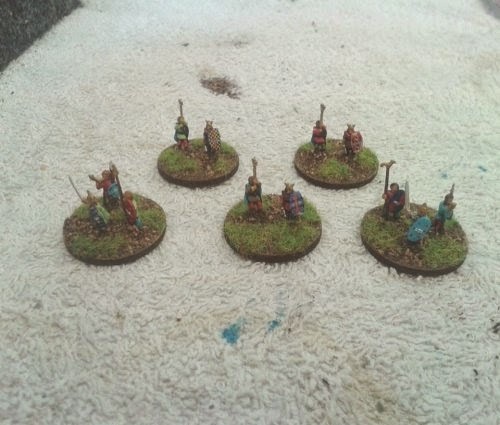 Another Gallic/Celtic Warband completed and another on the stocks. 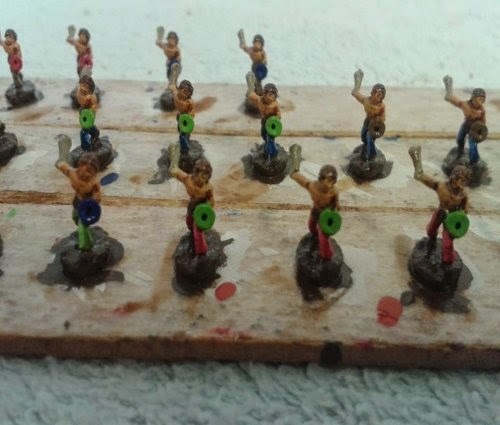 A bit of a change a load of naked Gallic/Celtic Fanatics (Gaesati). 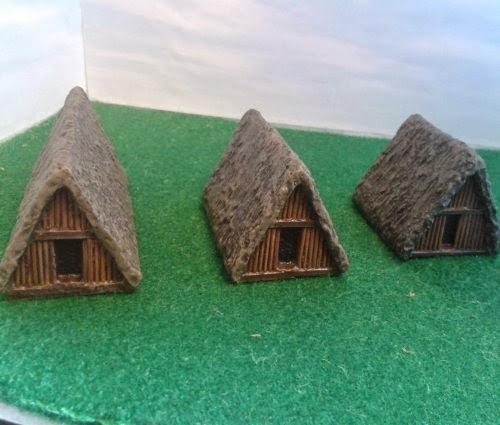 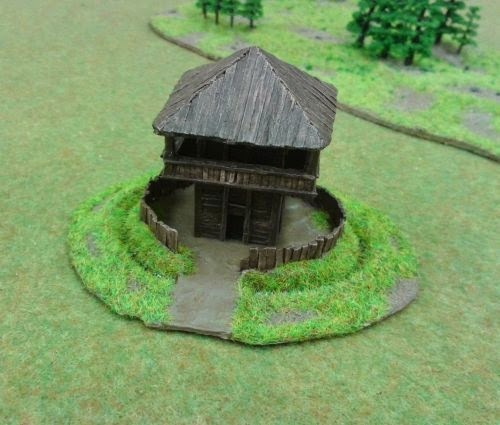 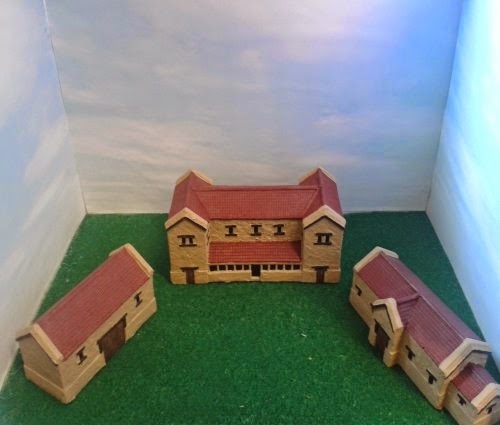 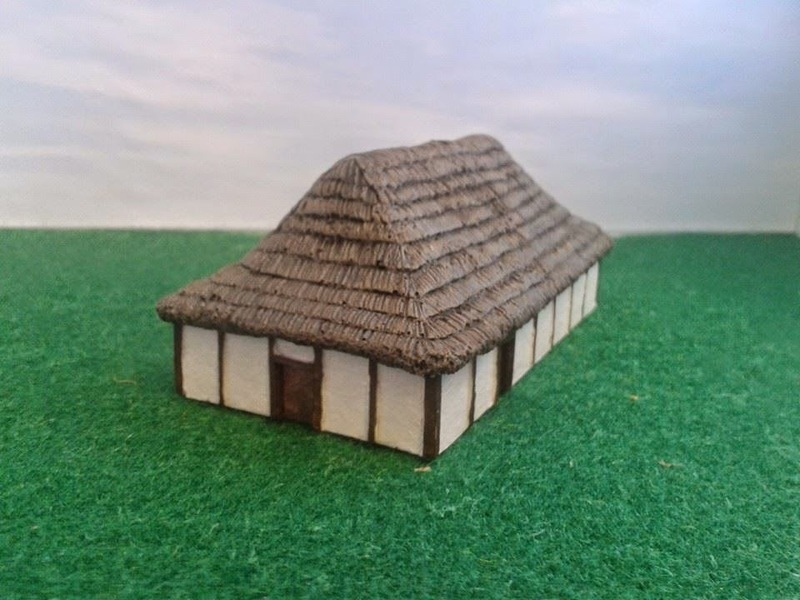 I made a couple of Celtic villages for my Caesars Gallic War Project you can view the tutorial Making Gallic/Celtic Villages. 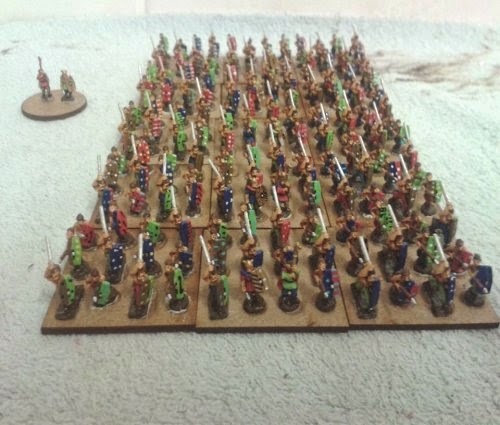 This is the army I got from eBay painted Pendraken 1000 point Gallic Warmaster ancients army pack. 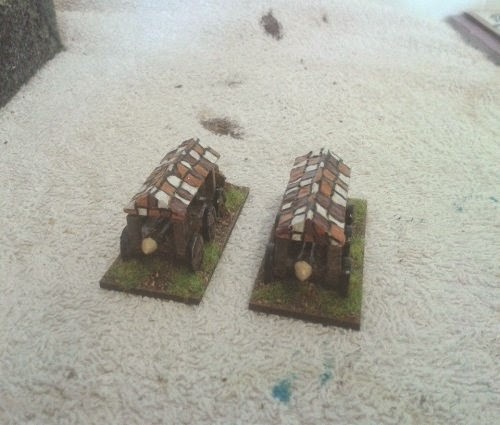 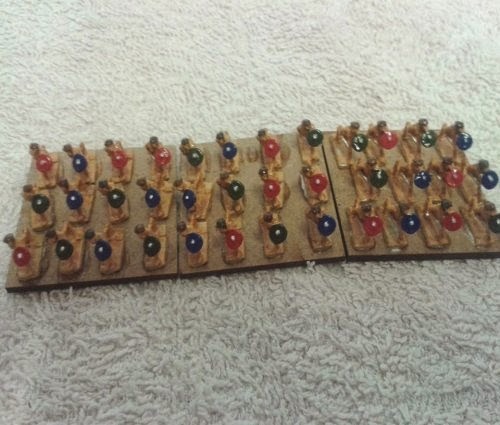 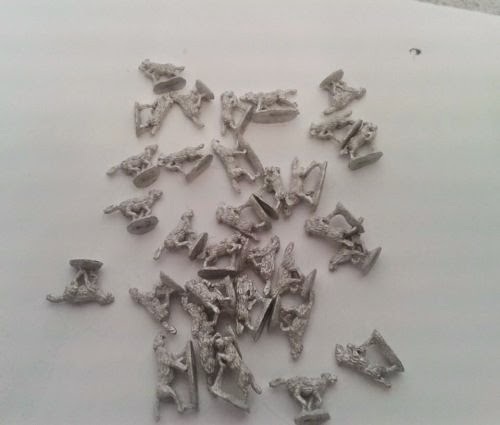 Army is based on 20mm by 40mm bases. 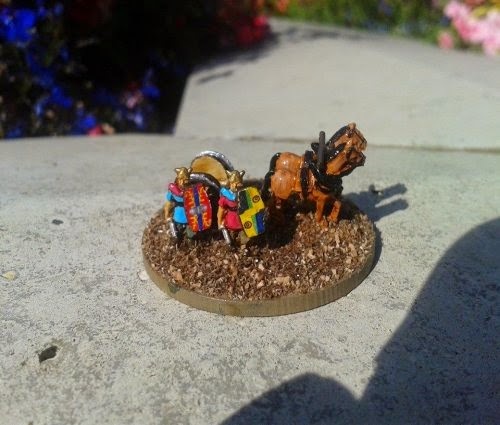 Painted to a gaming standard. 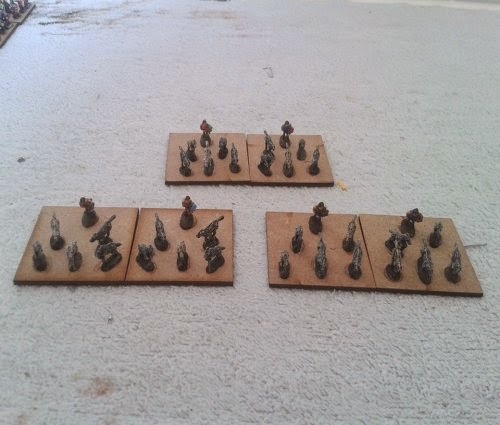 All infantry is based to 8 models per base except for 5 bases that have 7, the cavalry are 4 and 2 per base.